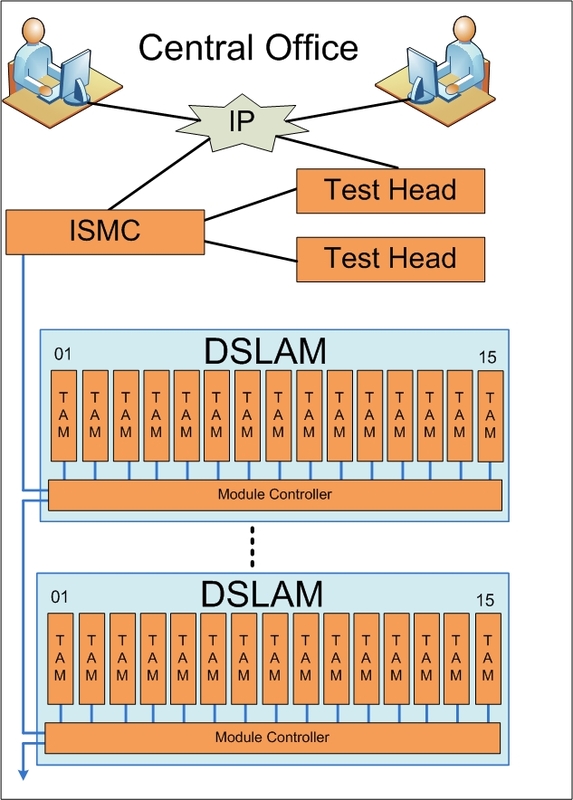 The in-line modular TAMs are designed to plug straight into the DSLAM, but due the DSLAM construction this is not possible as the module extends outside the cabinet. When space is available within the DSLAM rack an Internal Shelf is utilised to house the Lucent modules. Should there be no space available, the shelf will fit in a standard ETSI rack. The Modules are inserted in the shelf. 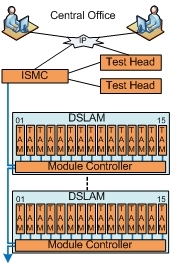 The DSLAM cable is connected to the DSLAM side of the module and a tie cable fitted to the other side and returned to the DSLAM. Retrofit takes less than an hour, the cables are removed from the Module, the modular TAM replaced and the cables re-connected. 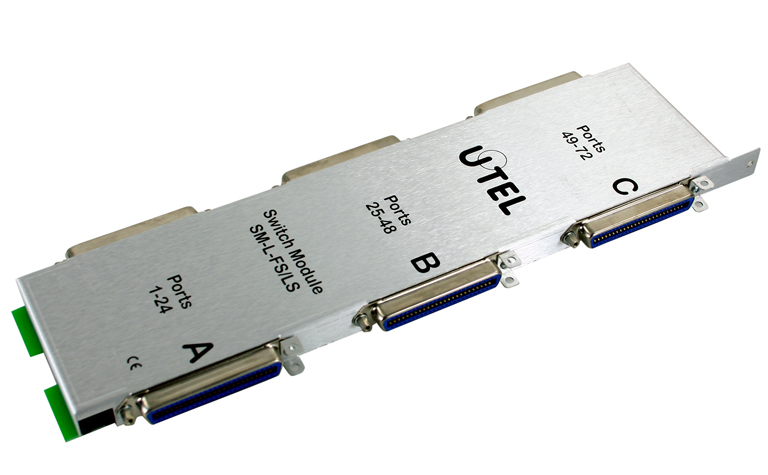 Designed to fit the Stinger FS & LS range of Lucent DSLAMS this module contains 72 switchable line circuits. 72 Switchable test circuit pairs per module.